in his iconic role as Atticus Finch in To Kill A Mockingbird. 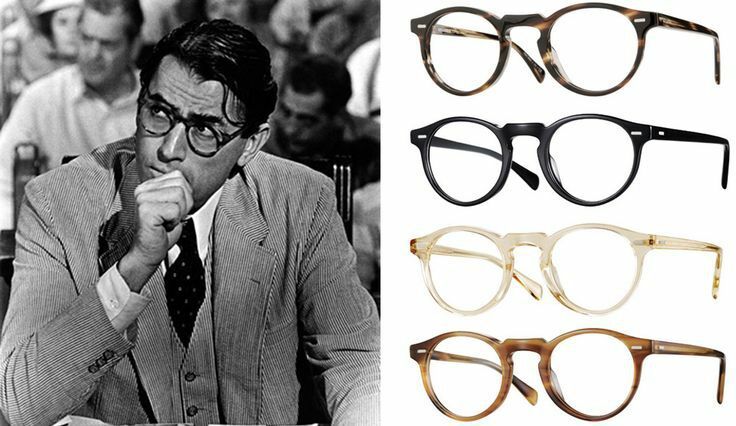 The Gregory Peck frames were released as part of the 50th anniversary celebration of the film, with a portion of the proceeds going to the Los Angeles Public Library. The frames now exist in 7 frame options for eyeglasses, including the original tortoise frame (Raintree), and 9 sunglass options. Each frame has Gregory Peck inscribed in the temple. Free shipping in the US!